I decided to give FCC a go on my android phone, using Mozilla Firefox but it won’t let me write anything or delete anything. The only way to get something written is to use word suggestions from my keyboard but then again, there’s no use of it because I can’t delete anything. Anyone else is having this issue? It’s not FCC issue. 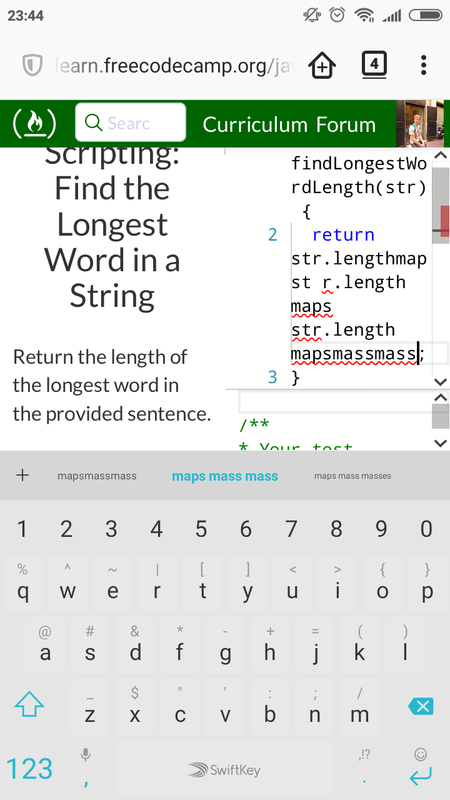 That’s SwiftKey keyboard. Same annoying bug appears on other coding sites like hackerrank or codewars. While coding on FCC site using your mobile I recommend CodeBoard keyboard which is Open Source.